Wide suspenders with a Y-back for comfort. 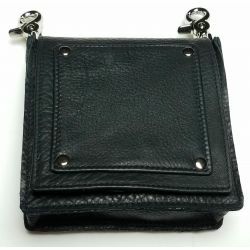 They are made by hand from quality full grain leather with a careful attention to detail. Made to order for a perfect fit. Leather Suspenders are a timeless fashion statement. Y-back style suspenders are traditional and comfortable. Ours are made by hand from fine leathers with a careful attention to detail.